Welcome to the Performance Ideas blog! My name is Christoph Papenfuss and I have run this blog since October of 2010. Analytics and data have been a passion of mine for a long time. As a management consultant at KPMG’s Silicon Valley office, I worked with many companies on improving their performance management processes. In 2003, I joined Cognos as a client director in charge of managing the US West Coast professional services business. It was a fun time working with many different succesful businesses on gaining value from their data. 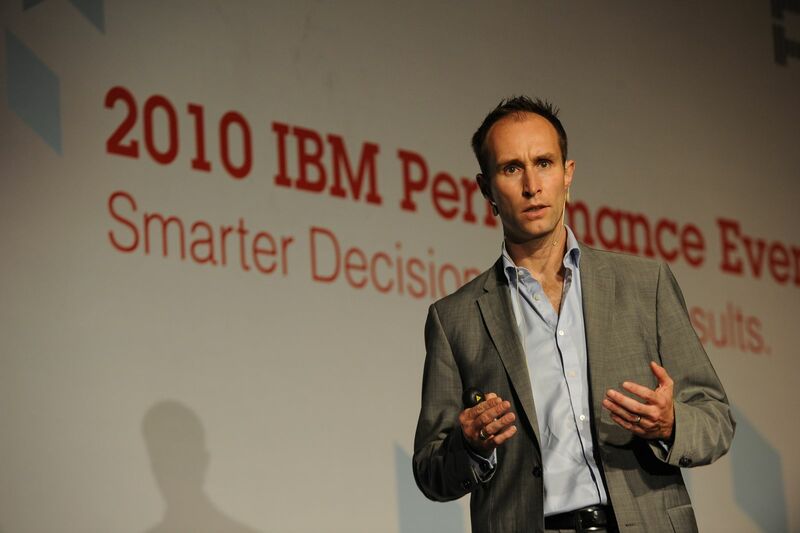 In 2007, I moved to Europe to develop and manage the Cognos Innovation Center. Our team was focused on defining best practices and on providing advisory services to the global Cognos customer community. Following the Cognos acquisition by IBM, I also spent a lot of time speaking at international conferences about analytics related topics. You can see me in action on the Video tab of this blog. Today, I am the Regional Manager for OSIsoft in Central Europe. OSIsoft is the company that makes the famous PI System). In this role, I manage an awesome team of key account executives that help our customers develop strategies for gaining value from the massive amounts of data generated by sensors and machines. When I am not traveling, you can often spot me somewhere around the Bavarian Alps hiking with my family, riding my roadbike or taking photographs with one of my Fuji cameras. Thanks much for your interest in this blog. Please feel free to share your comments. Discussion is essential for progressing our thinking. Please note that this is a personal site and the views expressed in this blog are my own and are not necessarily representative of those of the companies that I am working for or have worked for in the past.